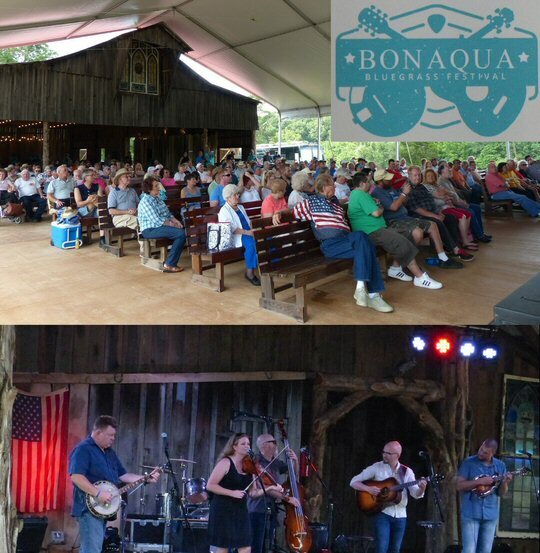 There are plenty of bluegrass festivals but the very first Bluegrass Festival on July 01, 2017 at The Storytellers Hideaway Farm in Bon Aqua, Tennessee was one of a kind and based on our observations – a striking success. The Festival was held on the land that was formally owned by the legendary Johnny Cash. His home on this expansive grassy piece of property was surrounded by trees and served as a lovely location to listen to music rooted in rural America. 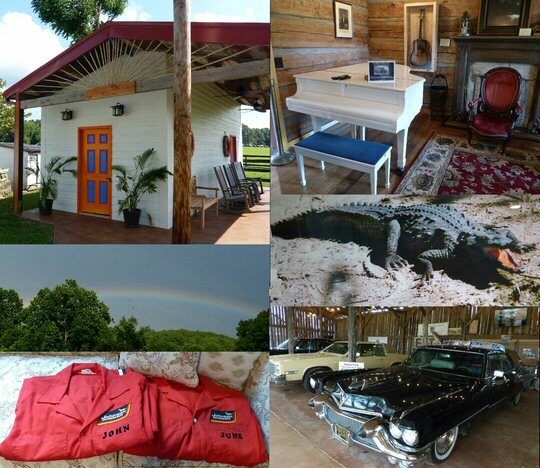 The farm home of Johnny Cash is now open to the public. 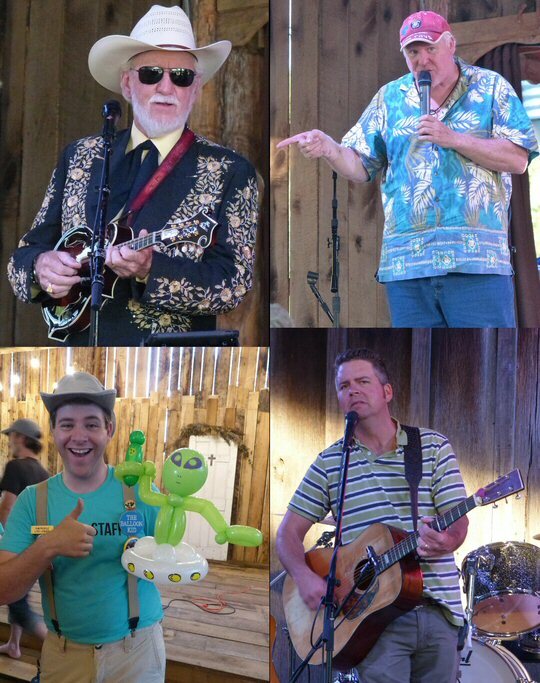 The Bluegrass Festival at the Farm was family friendly. There was plenty of space to spread out a blanket and folks were permitted to bring in coolers although there was also a number of reasonably priced vendors on site. A big inflatable slide next to a bounce house was available for the kids. Children of all ages were enchanted by Anthony The Balloon Kid. Award winning Anthony along with his partner were quick to shape wrist flower corsages for the girls and animals for the boys. The Balloon Kid had a solid repertoire and was even up to the challenge of crafting a one of a kind song logo for MCN founder Rich Lynch’s new track “Take Me To Your Liter”. Speaking of music – there was plenty of that starting with The Storytellers Hideaway Farm House Band followed by the Hogslop String Band, NewTown, Doyle Lawson & Quicksilver before closing with Lonesome River Band. All the artists were apt at their craft. The attentive audience at The Farm was appreciative of their feisty and fine blends of strumming, picking, singing and storytelling. 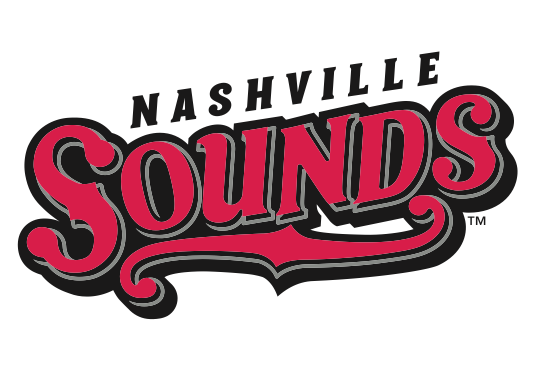 A number of groups such as NewTown along with Lonesome River Band were showcasing songs from their most recent releases yet their sounds reflected the rich traditions of bluegrass. The stage was framed in an open air farm house like structure that was covered to allowed a cooling breeze to blow through on a hot July day. The sturdy building was made of trees and wood all blending well with its rural surroundings. Upon a closer look around the venue we spotted an old carriage, scriptures and stain glass windows. These special touches added to the warmth and welcome of the room. Later in the day fans were grateful for the shelter of the barn as a fast moving but furious thunderstorm interrupted Doyle’s delightful set. Brian and Sally Oxley the hosts of this festival (more on them in a moment) are religious people so it was fitting that after a short, torrential-Noah-like-rain The Farm was blessed with a rainbow – a spiritual sign of success. Brian Oxley, Anthony The Balloon Kid and musicians in Bon Aqua. Now, the Oxleys are not your typical festival organizers. They both grew up in Asia during their formative years as children of Christian missionaries. They were unfamiliar with many popular musicians such as Johnny Cash or the young artist who in time would be crowned “The King of Rock and Roll”. The couple’s main focus has always been the King of Kings but in recent years they have taken notice of a number of musical icons with roots in the state of Tennessee. Brian and Sally first became interested in Johnny Cash when they realized that Johnny’s story was one of redemption. They found a connection between Francis Thompson’s poem “The Hound Of Heaven” and Cash’s spiritual journey. Elvis also led a life touched by faith. Interestingly, Elvis was nominated fourteen times for Grammy Awards winning two for Best Gospel Records. Within a short period of time Brian and Sally immersed themselves in the music and life stories of these two legends which lead to the purchase of The Farm at Bon Aqua and The Storytellers Museum. The “center of my universe” is what Cash called the Farm at Bon Aqua. It was here where Johnny kicked off his big boots to walk barefoot in the fields. It was his place to contemplate, read and write songs if inspired. The house was built before the Civil War by the prominent Weems family. The Farm reflects the history of its famous and wealthy owners. Saturday it was open during the Festival for fans to explore. Also on site were old cars including Minnie Pearl’s Cadillac and the “One Piece at a Time Car” made famous by the classic Cash song. Near the house was a colorful hut called “Cinnamon Hill” to represent Johnny’s home in Jamaica. Inside were photographs by Chance Martin who was Cash’s stage manager and lighting designer. The more intimate pictures of Johnny demonstrated that Chance was clearly a friend of the family, too. Piped in the room was island music adding a distinctive detail to the already vibrant vibe of the room. The Oxleys who are also publishers pay attention to nuances thus everything they do – and they do a lot – is top quality. As they have developed The Farm they remain mindful of its history and surroundings. Brian and Sally hope to host more concerts in the future figuring it is called country music, isn’t it. So why shouldn’t there be a real venue in the countryside of Middle Tennessee? Many personal artifacts from Johnny’s life were on display. At the corner of Old Highway 46 just down the road from The Farm is The Storytellers Museum. The former general store has a long history, most notable in the 1970’s it was converted by Johnny Cash to be the spot where the “Saturday Night at Hickman County” guitar pulls took place on the “Little Stage”. Later Johnny sold it to Red Wortham who turned it into a recording studio. In 2016, the structure was on the verge of collapse when Brian and Sally Oxley brought the building. Within months the couple along with supporters including Johnny’s daughter Cindy Cash had resurrected it to look like an old time general store on the outside. Inside it is The Storytellers Museum. The majority of the displays are dedicated to The Man in Black. Items of particular interest include Johnny’s guitars and the original handwritten lyrics to “Saturday Night in Hickman County”. Back at the festival, before Lonesome River Band performed a set of potent picking paired with multi-part vocals Brian took a few moments to make a major announcement. The Farm and The Storytellers Museum will be hosting a special event on August 12, 2017 to celebrate the life of Elvis who died 40 years ago on August 16, 1977. Starting at 3 pm at The Storytellers Museum there will be items on display for the first time from the recently dismantled Colonel Parker Complex (that’s another whole Oxley epic). These artifacts in many cases pre-date Graceland. The Oxleys recently visited the famous house in Memphis and observed that it was an expensive outing so there will be no charge for their event. 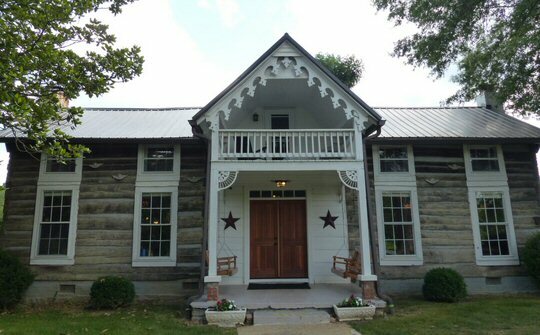 The celebration will conclude with a candle light vigil at The Farm featuring some of Presley’s favorite gospel songs. Although the tribute will be free there will be donation boxes around with half the funds going to St. Jude Children’s Hospital – a well-respected facility that Elvis supported when he was alive. So how many Bluegrass Festival are held at Johnny Cash’s former farm? At least one took place on Saturday. 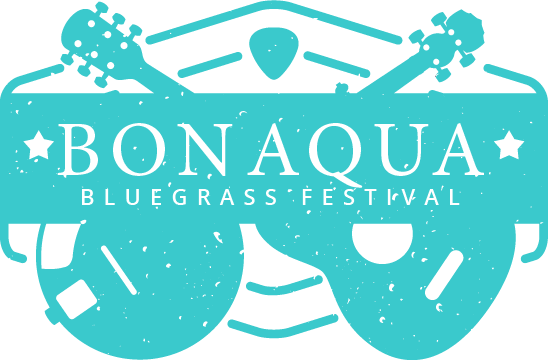 The successful undertaking was filled with family fun, music and spiritual symbols all pointing to a bright future for Bon Aqua. Don’t forget to mark your calendars for the special Elvis Presley event on August 12, 2017. A great turn out points to a bright future in Bon Aqua.